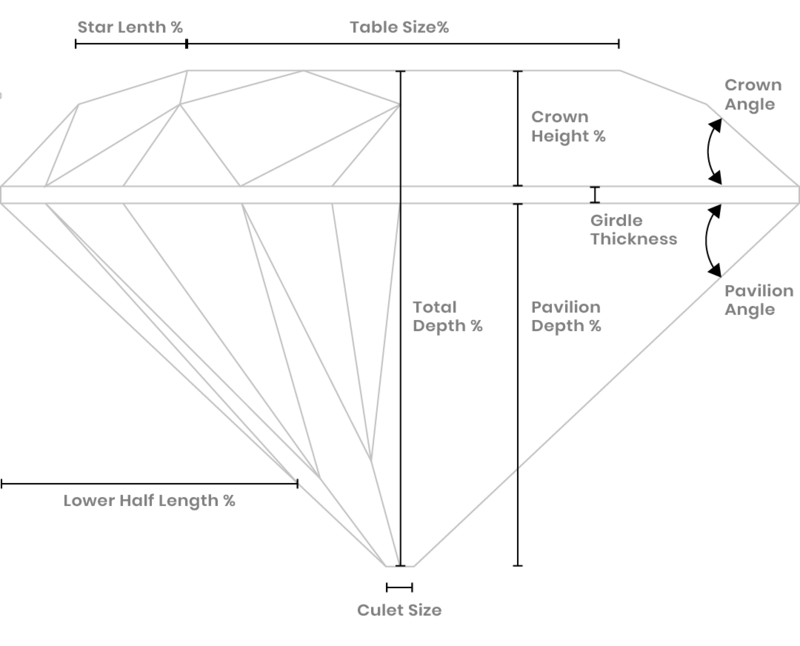 After a rough diamond is mined, it is evaluated to determine its best possible cut, in order to maintain the maximum clarity, color, and carat weight. People often use the words cut and shape interchangeably. They think of cut as the shape or outline of the diamond, rather than the arrangement of facets needed to create an attractive face-up appearance. Color, clarity, cut, and carat weight – the most important characteristics to understand when making a diamond purchase. Visit our store for friendly, expert advise. We are professionals that can guide you through this exciting process…..any day, any time. Do you prefer an appointment? We would be happy to accommodate you. We know choosing a Jeweler is an important decision. Most people prefer to get a trusted recommendation. Our new customers are generally referred to us by their friends or family. Please read what a few of our customers have to say. We promise to deliver the finest jewelry, exclusive designs and a fun, fulfilling experience when you come by our store. Highly recommend this place! Abraham made the perfect ring for me. The ring was more than I could have imagined. They make custom rings and jewelry to your liking and do a phenomenal job! Kim has been a great help with wedding bands. She is personable and kind and really understands your needs and creativity. The best of the best! Hands down. His work is amazing! Will be back! Great jeweler in Ballantyne! Abraham is trustworthy and looking in his shop you will see how talented he is in his art. Staff is knowledgeable and experienced. Thank you for taking care of me. I recently purchased earrings from this fine establishment. I have to say Abraham and Richard were professional, courteous and wanted to make sure I was totally satisfied. I even left with a bag of Richard's handmade granola! I read a review regarding a Rolex repair gone bad. I had my Rolex serviced here and was nothing but pleased with the result. I not only will recommend AJ Fine Jewelers to my many friends but feel I have gained two friends in Abraham and Richard. Thank you gentlemen. Abraham Joseph Jewelers is exceptional in their selection and most importantly their Customer Service. Richard Montgomery was the gentleman that helped me. I came in to look at Earring studs. He was more than happy to assist me in finding the perfect pair. My price point was on the lower end of their offering, and Richard helped me select some black onyx stones which he ordered and they arrived in exactly one week. He also showed me beautiful white gold settings for the stones. They had the settings in stock and within two days he called to tell me that they were set and ready for me to pick up. When I arrived and saw them I was delighted! Richard and the owner Abraham made me feel like my business was valued. I look forward to my next purchase with them! © 2018 Abraham Joseph Fine Jewelers. Web Design and Development by Red Salsa Marketing.